McConville Omni offers condominium corporations the experience needed to ensure their businesses are insured intelligently, with comprehensive coverage at competitive rates. In Ontario, condominium corporations are required to have two types of coverage – liability insurance and property insurance which provides coverage for damage to the units from the common elements. When you work with a McConville Omni commercial insurance professional, you benefit from our reputation and experience negotiating on behalf of condo corps in the London and St. Thomas communities, and beyond. Our job is to negotiate the best coverage at the best rates – giving you the confidence that your policy offers the right balance of risk mitigation and financial benefit. McConville Omni has the experience and the industry leverage needed to negotiate the best rates on coverage for condo corporations. 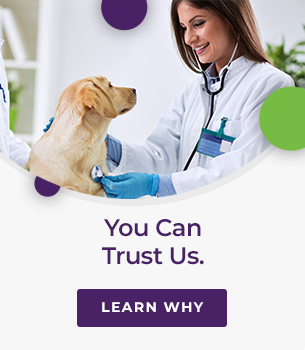 You can trust we'll work for you. I am on the Board of Directors for our Condominium Corporation and sometimes have questions, where do I get answers? Your Property Manager is there to help, however there is a lot of additional information and education that you should be aware of. If you are not already a member of the Canadian Condominium Institute (CCI), you should join. CCI offers education seminars, as well as seminars on how to deal with various situations that may arise at your Corporation. The information they provide is informative and interesting. What is D&O and what does it insure? Directors & Officers coverage insures the Board of Directors for Wrongful Acts. 'Wrongful Act' is defined as an act, error, or omission that takes place within the course of performing their duties. Why does our premium keep going up, even when we do not have claims? Premiums will increase annually as insurers automatically increase the replacement cost of the building. This is done to keep up with the cost to replace the building due to inflation. Lately, premiums have also increased as water losses have been substantial. Think of insurance as a pool where all the Condominium Corporations put in premium and those that have losses take the premium out to pay those losses. If the losses are higher than anticipated, more premium is required to pay the losses. The additional premium is spread out amongst all, rather than just the few that had losses. I own a condo unit. Why did we have two insurance companies respond to our loss? If a loss emanated from your condo unit, your personal home and property insurer will be responsible for your contents and any improvements or betterments done to your unit. The Corporations insurance will be responsible for damage to the standard unit – which is basically the unit as originally built, without any upgrades. It is very important to know that you must insure improvements and betterments done to your condo unit, even if you did not do them. If a standard unit did not have a finished basement and the owner prior to you finished the basement, you need to insure that improvement. In case of a claim on my personal condo unit who do I call? First, you should try to prevent a further loss, providing it can be done safely. For example, know how to shut your water off! Next call someone on your Board. If you cannot reach someone on your Board call your Property Manager, who is experienced in how to proceed. If there is damage to your personal property, call your personal home and property insurance broker or insurance company. My Corporation requires me to pay their deductible if a loss occurs in my unit and the Corporation's policy must also respond. Do I have to pay this? Check with your broker to clarify. Most policies for Condominium Unit Owners has a provision for this, in which case your insurer will pay the Corporations deductible if you are deemed responsible. Make sure the deductible your insurer will pay is adequate. Having access to a wide range of insurance carriers ensures that we can negotiate the best policy for your specific needs. Whether it is Home & Auto or Commercial, McConville Omni has access to over 50 carriers that can offer you a tailor made solution.